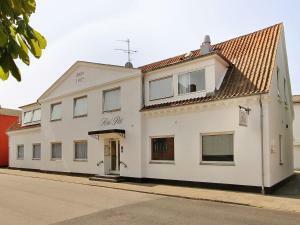 Located 31 km from Frederikshavn, Jakobs Ferielejlighed offers accommodation in a building from 1905 in central Skagen. 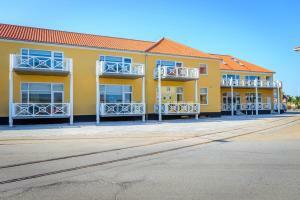 Jakobs Ferielejlighed boasts views of the sea and is 40 km from Hirtshals. Free WiFi is provided, and private parking is free. There is a dining area and a kitchen equipped with dishwasher. Guests can relax in the sofa while enjoying the flat-screen TV. Other facilities at Jakobs Ferielejlighed include a terrace. Guests can enjoy various activities in the surroundings, including cycling, fishing and hiking. Skagens Museum is 650 metres from the property. 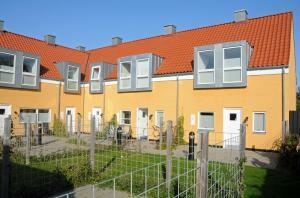 The nearest airport is Aalborg Airport, 83 km from Jakobs Ferielejlighed. When would you like to stay at Jakobs Ferielejlighed ? This apartment has fully equipped kitchen with a toaster, oven and kitchenware. The bathroom has a shower. Each day we'll check prices and send you an email for your selected dates at Jakobs Ferielejlighed. If you don't have specific dates but would like to check prices for say next weekend or say next month we can check the price too. Click to write a review and share your experience of Jakobs Ferielejlighed with other travellers.